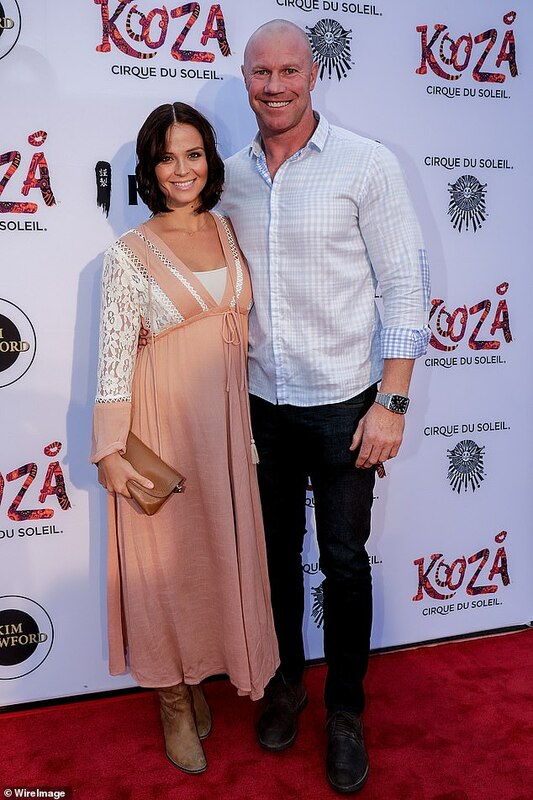 Lauren Brant is expecting her second child with partner Barry Hall. 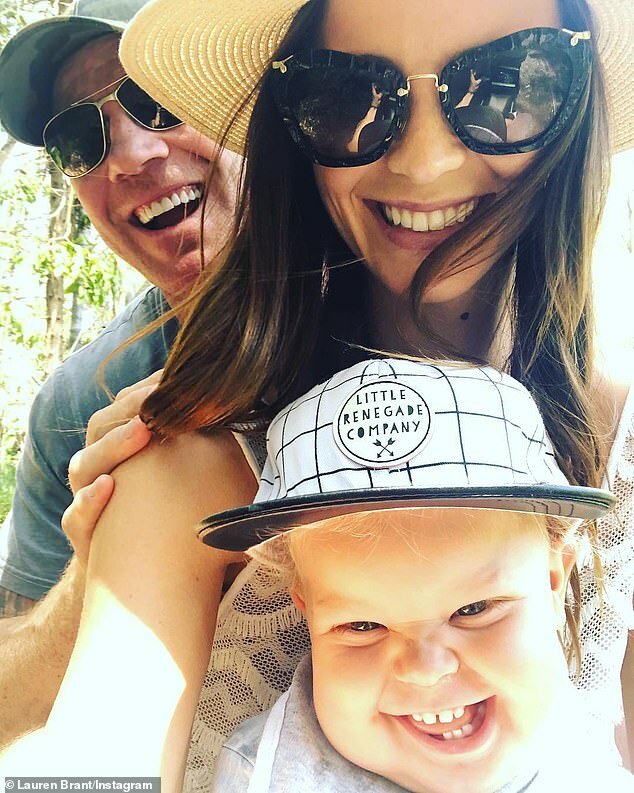 The former Hi-5 star, 29, revealed on Thursday that the couple – who are already proud parents to 18-month-old son Miller – are having another baby boy. ‘We’re 15 weeks pregnant! We have been trying for a baby so it’s great news,’ the children’s entertainer told Who magazine. Barry, formerly of the Sydney Swans AFL team, added that he was delighted by the news – even though he was hoping for a daughter. ‘I wanted a little girl but we’re also mindful that it’s hard to have kids, so as long as it’s healthy, we’re happy,’ he said. The baby announcement comes after a challenging six months for the couple, who first met while filming I’m A Celebrity… Get Me Out Of Here! in 2015. 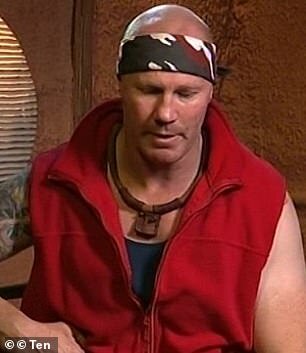 In June, 41-year-old Barry was sacked from his job at radio station Triple M after he made lewd comments on air about another man’s pregnant wife. During a pre-game conversation about the impending birth of fellow commentator Leigh Montagna’s child, Barry – who was filling in for Chris Judd – made an inappropriate remark. The Triple M panel was discussing the fact Leigh’s wife Erinn had undergone a ‘sweep’, a technique used by medical professionals to try to induce labour. Barry joked that the male doctor behaved in a sexually inappropriate way, which sparked laughter from the other panelists. He was promptly sacked before the game between the Western Bulldogs and Geelong Cats at Melbourne’s Etihad Stadium. 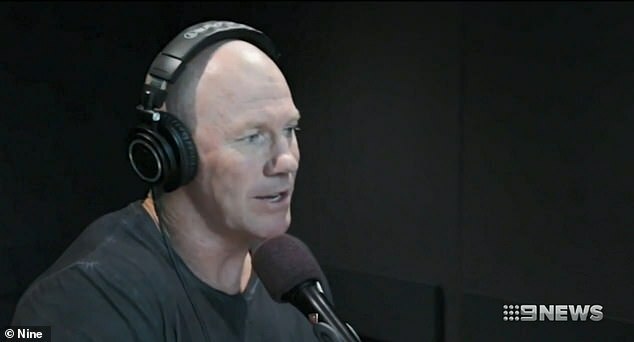 ‘Tonight on Triple M Football there were unacceptable and inappropriate comments made by a member of the commentary team,’ the station’s head of content Mike Fitzpatrick said in a statement at the time. Barry told Who magazine this week that he regretted making the joke and ‘did lose a fair bit financially’ as a result of being sacked. 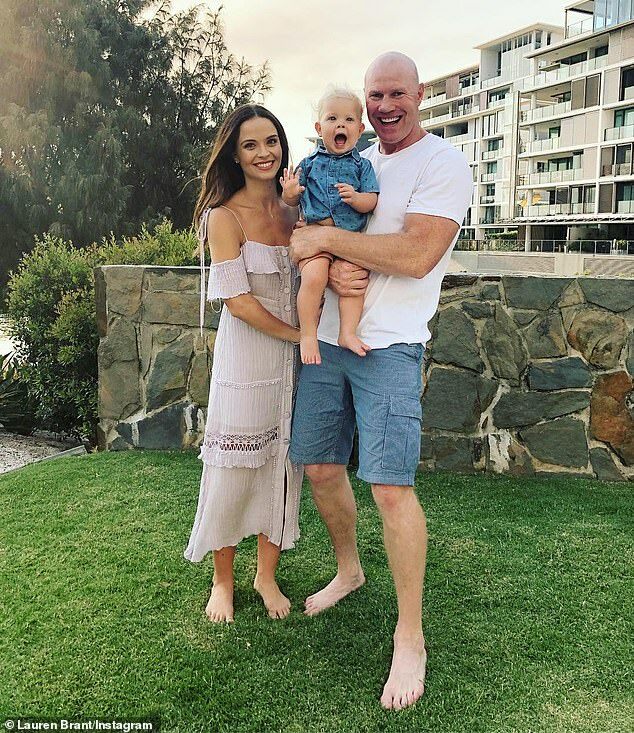 The retired sportsman added that he has since been offered ‘new opportunities’, and he and Lauren will soon be moving back to Melbourne from the Gold Coast. Leaving his media career behind, Barry now works four days a week in corporate finance, despite having no qualifications in the field. He is employed by non-bank lender Money Tech, and also works for auto parts shop Castlemaine Rod Shop. Barry recently told The Sunday Telegraph of his career change: ‘Life throws curve balls, that’s a part of it. Sometimes curve balls hit you right between the eyes and you need to pick yourself up.